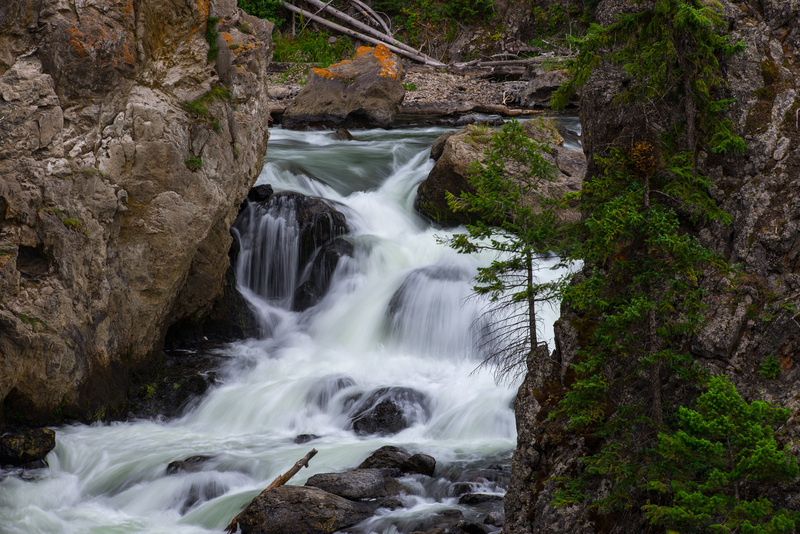 This was one of my very first photos when we arrived in Yellowstone. 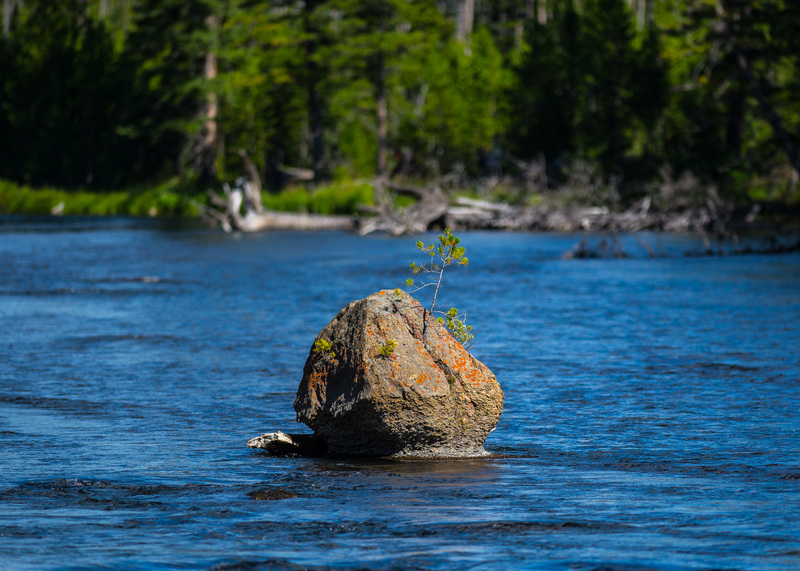 I just liked the scene….where this sweet little evergreen was growing out of a rock in the middle of the Madison River. I wanted to call the post “Grow where you’re planted”, but I couldn’t find other scenes to match the theme. But then it became clear it needed to appear with these next two pictures under today’s title. 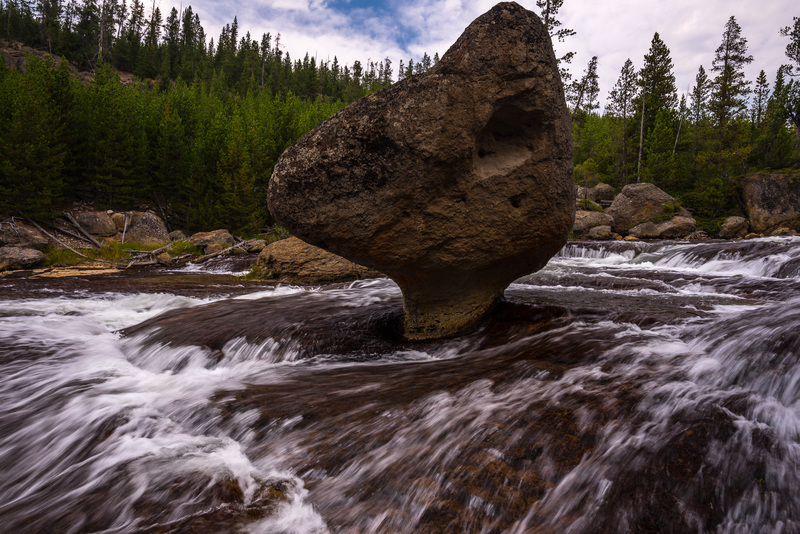 Robyn and I call this next rock “The Ballerina”, because we can see a lady en pointe in a tutu. 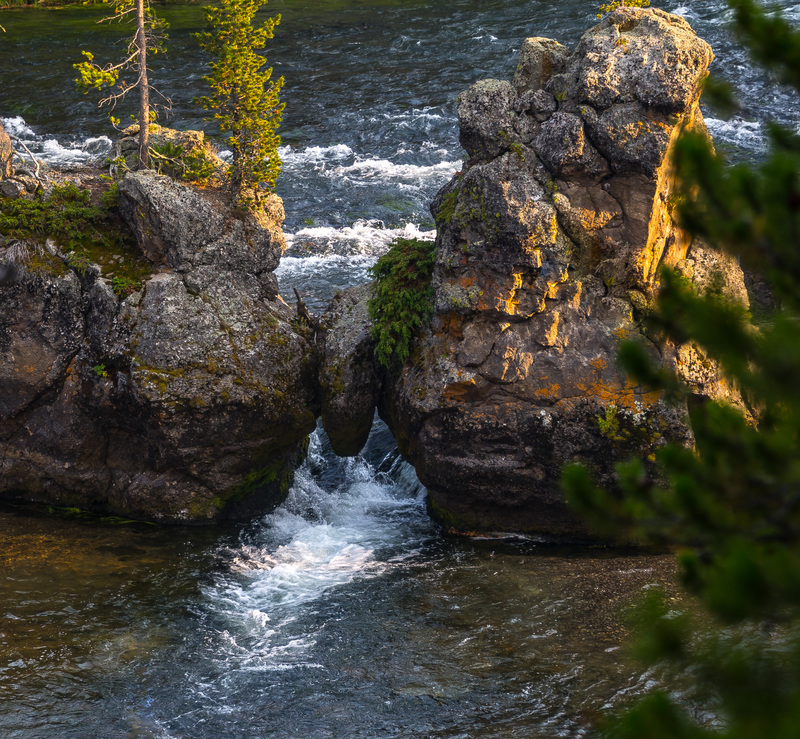 The tension in these next rocks is palpable from the bank of the Yellowstone River…when will the small rock succumb to the pressure? An even more pressing question: how in the world did it land in such a position? This last picture barely qualifies to be included in this post…I just like scene! Click it to fill your screen…there’s sooo much going on…. Your pictures really “rock” no pun intended. Please keep sharing. We do enjoy them so very much. Thanks for that, Trudy…you’re a really solid friend! I’ll keep practicing, Roger, until they’re steady….